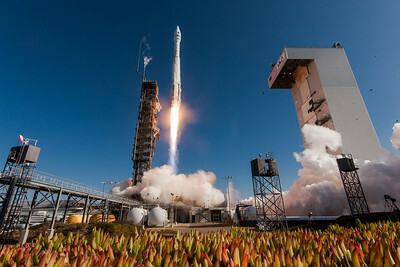 This launch photography guide contains nearly all of the information needed to successfully photograph a rocket launch. 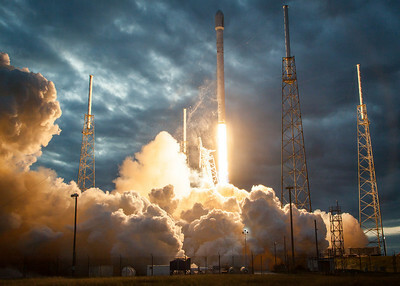 The camera settings will work from any location you may be photographing from around Cape Canaveral Air Force Station or wherever you may find yourself shooting a rocket launch. 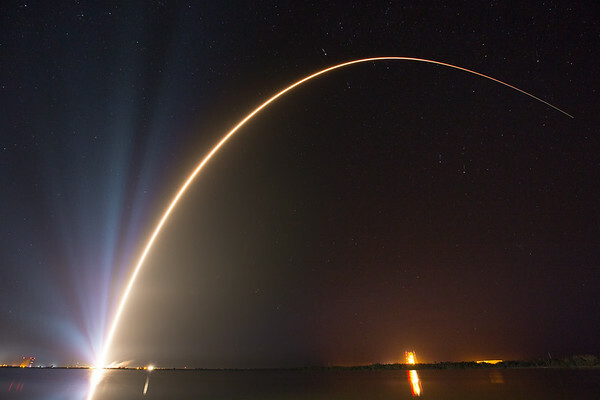 I have refined these suggestions from my experiences over the past several years photographing launches along the Space Coast. While the settings may differ from other photographers’ suggestions, they have been based around my particular style of shooting. In most cases, I will underexpose my photos by one or two stops to preserve certain details and recover in post processing. Use at your own discretion. Have questions? Feel free to get in touch by using the contact form. Be sure to check back as this guide will continue to be revised. 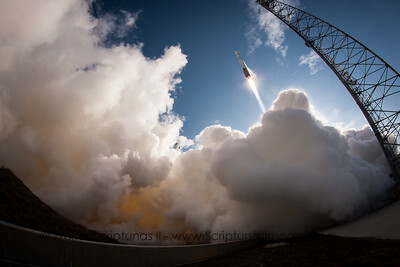 Daytime: A daytime launch will have the most variables you will encounter when photographing a launch. One of the main things I look at ahead of time is where the sun will be positioned at launch time. For this I use the LightTrac app, which is available for iOS, Android and Windows 8. Nighttime: While a night launch may seem like it would be quite hard to capture, it really is not as difficult as you would think. A common misconception is that settings for a night launch are drastically different from a daytime launch but this is not true, mainly due to the amount of light a rocket puts off. Please note that before launch the image will look dark, the light from the launch will illuminate the image significantly. 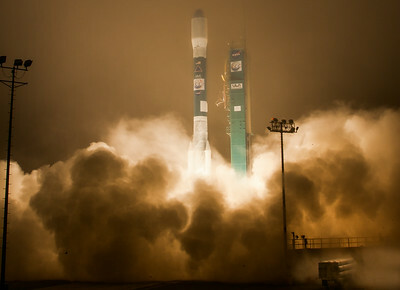 One of the most sought after photos of a night launch is the streak shot. To capture one of these, you will need to set your camera to bulb mode, pre-focus your lens, and set it to manual focus. Then adjust your ISO to 100, stop your lens down to approximately F20 and with the use of your cable release, open the shutter seconds before launch and keep it open for one to four minutes, depending on how wide of a lens you are using. It is important to make sure that your lens is clean. For distances further away, i.e. 15+ miles, experiment with higher ISO's and lower aperture. Twilight: For a twilight launch you will encounter the most challenging conditions. With the light changing every minute you will have to adjust your exposure accordingly. 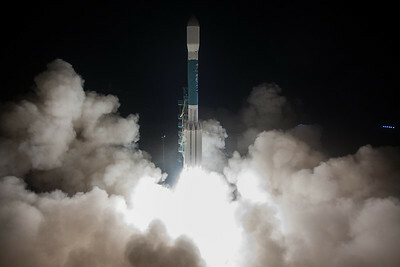 As the rocket ascends, it will eventually catch the light of the rising or setting sun, which is of course dependent on the time it occurs after sunset. These settings should work for up to 20 minutes following sunset. The settings above should help give you a good base point to start out at. They can be adjusted accordingly to the intensity of light and cloud conditions. •One of the most important tips is using manual focus. This will ensure that your camera is not thrown off by the intense brightness of the rocket. This is extremely important for night launches. To do this, switch your lens to auto focus (AF), pre-focus on the rocket before switching back to manual focus. Be careful not to bump the focus ring during the launch as your photos will come out of focus. •You can also tape the focus ring to prevent this from happening. •Do not use filters for telephoto images, they may cause ghosting and lens flare. This is especially true with night launches. •Shoot in RAW, this will enable you to capture the best detail possible. However, be careful as some cameras’ buffers will fill up very fast. 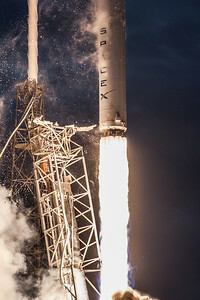 •If you have a second camera body, don't just take telephoto images of the launch, switch to the second body and capture a wide angle image of the exhaust trail. A sturdy tripod, especially when shooting with a telephoto lens. A cable release is important for a nighttime streak shot or to help you fire a second body. Telephoto and wide angle lens. Mosquito repellant (trust me on this one). Often used by mission personnel, SpaceflightNowʼs mission status center offers the most complex, up to the minute countdown updates on the Internet! 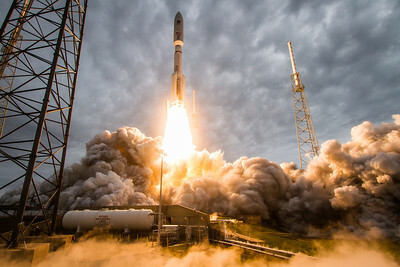 For Spaceflight Now's worldwide launch schedule Click HERE. 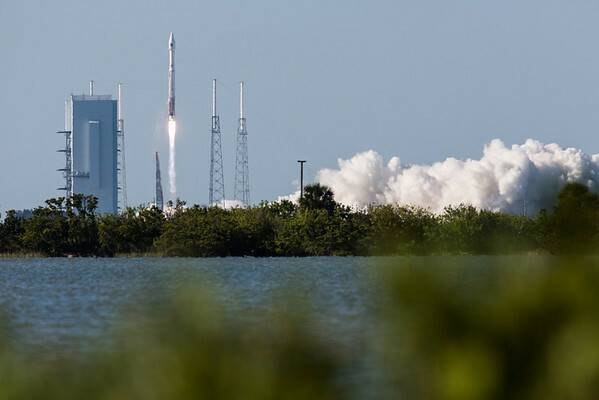 Launch Viewing Locations: The most accurate guide to viewing a rocket launch at Cape Canaveral, Florida. Click HERE. 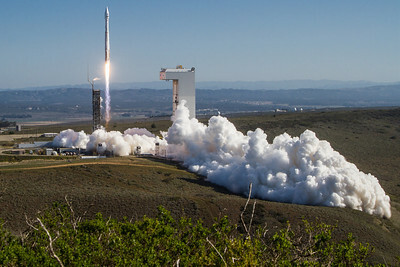 For viewing a launch from Vandenberg Air Force Base, California Click HERE. Local: Lens Depot - Pickup locations in Orlando, Tampa and Miami. 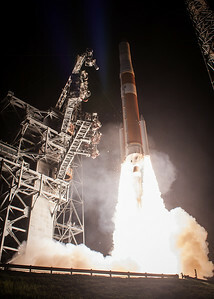 Are you a member of the media looking to capture up close images of a rocket launch for publication? If so, then this section is for you. Most of the information detailed above applies here as well. 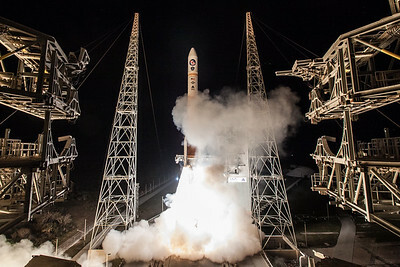 While typically the closest you can view a launch as media is 2-3 miles, most launch companies will allow you to set up remote cameras inside the launch pad perimeter or just outside of it. 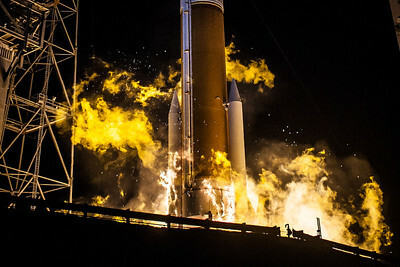 This is how the spectacular up close images of launches are captured. 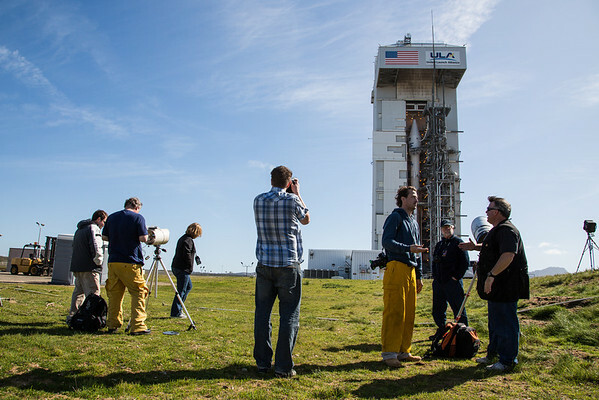 For a typical launch, photographers are given access to the launch pad to set up cameras the day before launch. On some occasions however, such as for an evening launch, photographers may be allowed to set up cameras the morning of launch. 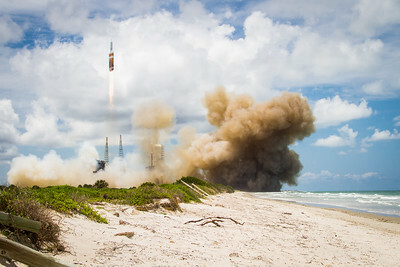 Please note that having a camera this close to the launch can occasionally bring harm to the equipment, including lens pitting and water damage. Weather Protection: It is important to keep your camera protected from both the weather and the harsh launch environment. For this I use a simple trash bag wrapped around my camera and trigger, others use custom boxes, but in order for me to set up more cameras in a timely fashion I prefer the trashbags. Staking it down: I cannot stress enough the importance of properly securing camera equipment around the launch pad. Depending on where your camera is placed, the blast from the rocket can easily knock over your setup. Other factors include strong winds from weather passing through. I use stakes which can be found at your local hardware store, they are hammered into the ground and secured to the tripod legs with zip ties. 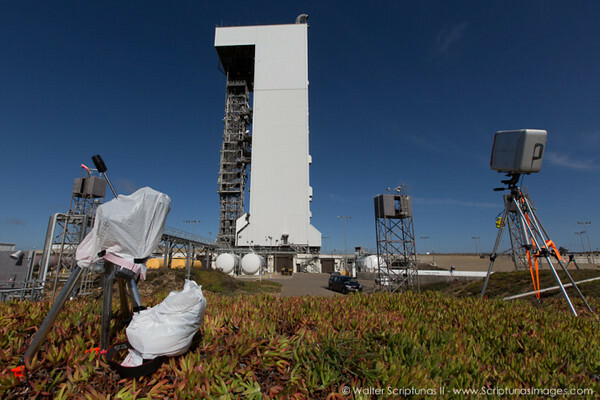 Members of the media set up remote cameras for the launch of Landsat at Vandenberg Air Force Base. Up until a couple years ago finding reliable sound triggers was nearly impossible and quite expensive. However in recent years they have become slightly easier to find. My preferred sound triggers for launches are the Vela Pop and Triggertrap V1. Although the Triggertrap V1 is now discontinued, they still show up from time to time on eBay. Another trigger that I have tested is the Nero Trigger. Some cons to this trigger is a delay of 500ms between each shot, this may not seen like a lot but when shooting a rocket launch it seems like hours. The battery life is also not as good as the Triggertrap or Vela Pop so it is risky, especially if there are multiple scrubs. However if in a bind, this trigger will get the job done. A rocket launch can leave your setup covered in various substances, some that can cause skin irritation. With this is mind, be sure to throw away used bags and clean your equipment. Have additional questions about remote cameras? Feel free to contact me by using the contact form.